Hi everyone! 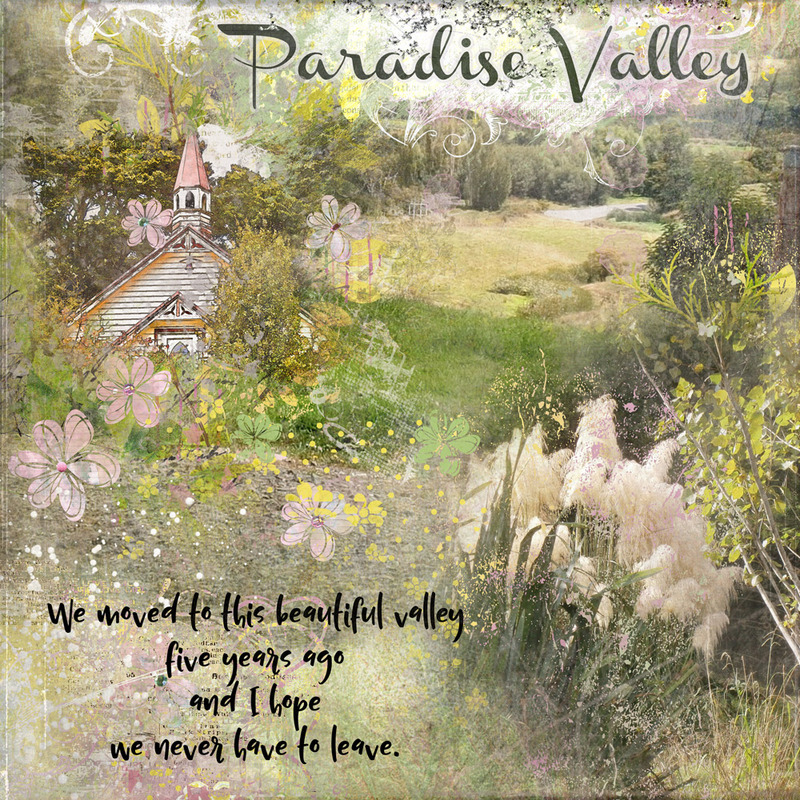 Anne here with a page I made using the Springbreak collection from NBK Design at Oscraps. 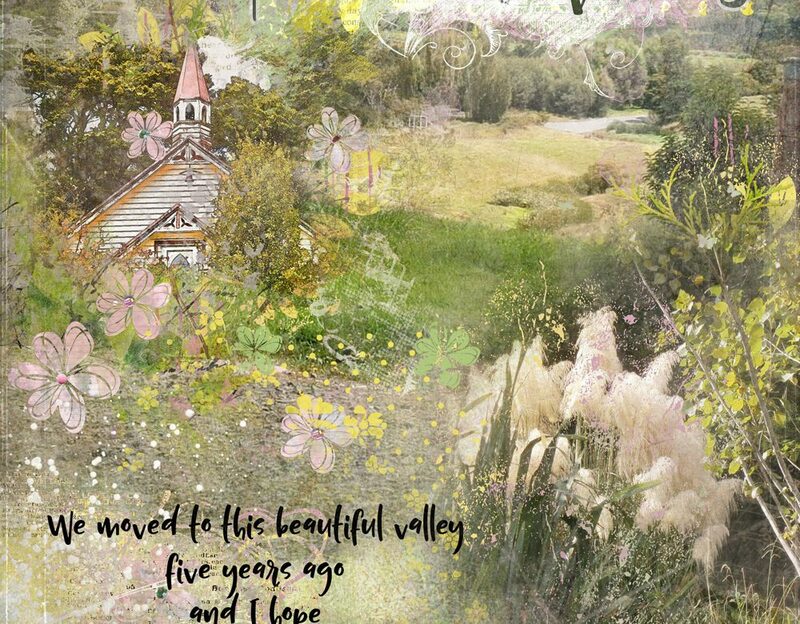 This is a stylized version of the valley where I live, and it’s a composite of 3 photos – the valley, the church, and the pampas grass. For the foundation, I used 2 painted papers blended together, and then 3 of the pageblenders with solid papers clipped to them. I blended the photos in using layer masks and brushes, and then applied an artsy effect to the church using Topaz Labs Simplify. I used a whole bunch of Artsy Bits & Pieces in front of, and behind the photos to give the page a more integrated feel. And the final touch was to place a soft-toned paper on the top layer and lower the opacity right down.